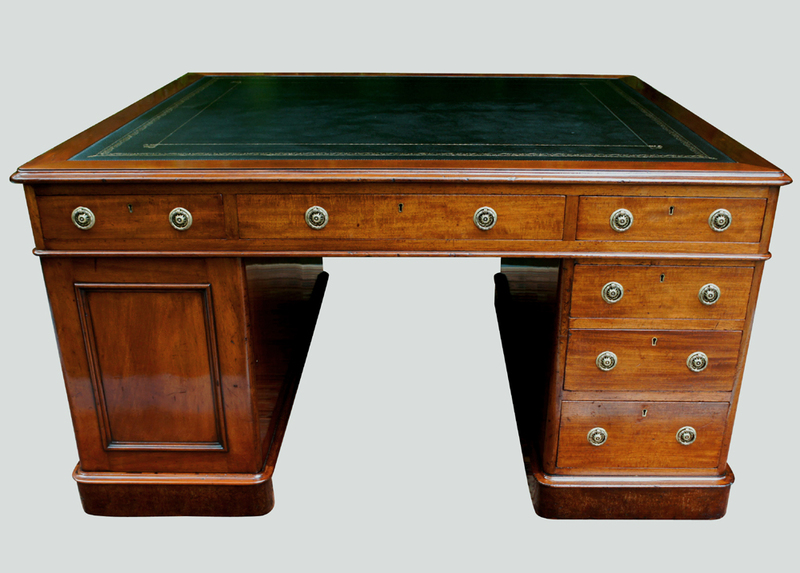 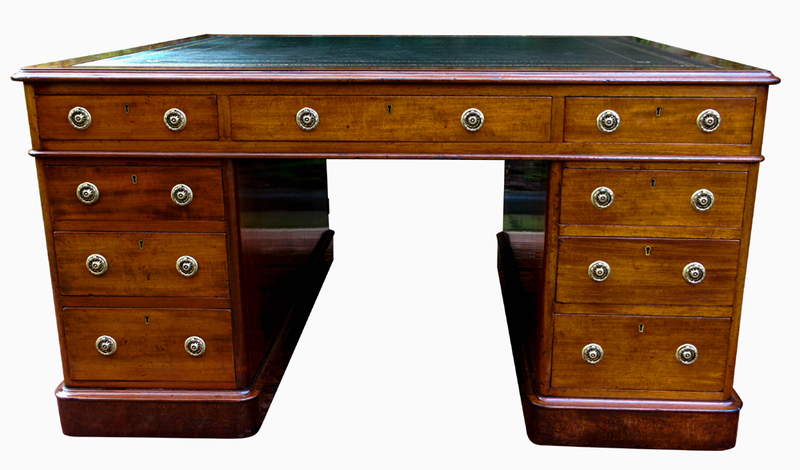 This antique mahogany partners desk was made in the mid 19th century from well-figured timbers. 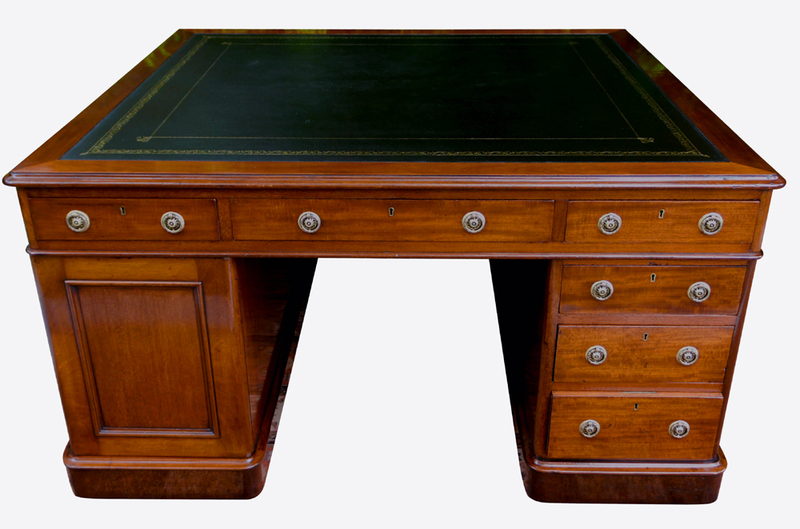 It has recently been sympathetically restored including french polishing and a replacement black hide writing surface with gilt and blind tooling. 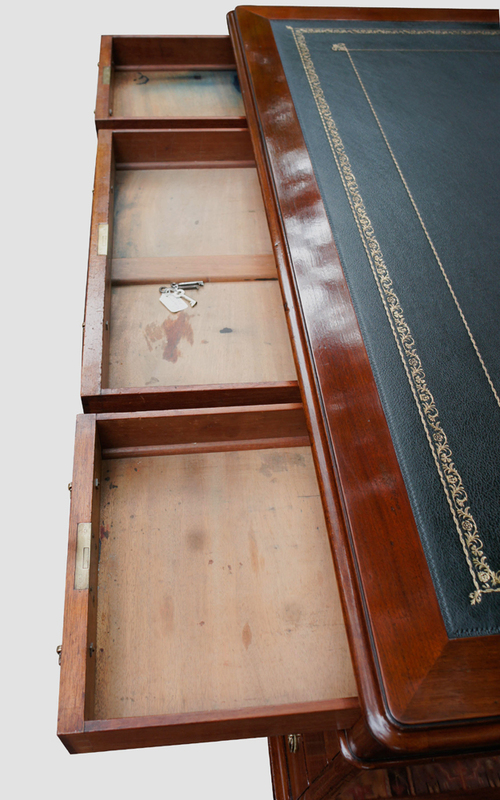 and rounded corners and three drawers to each side of the width. 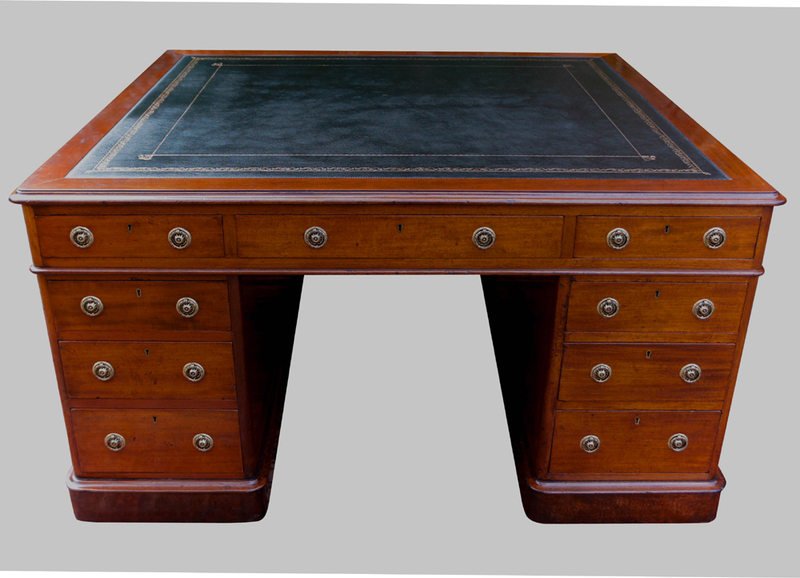 As a 'partners desk, ' it was made to accommodate two people and has a cupboard and drawers on each side. 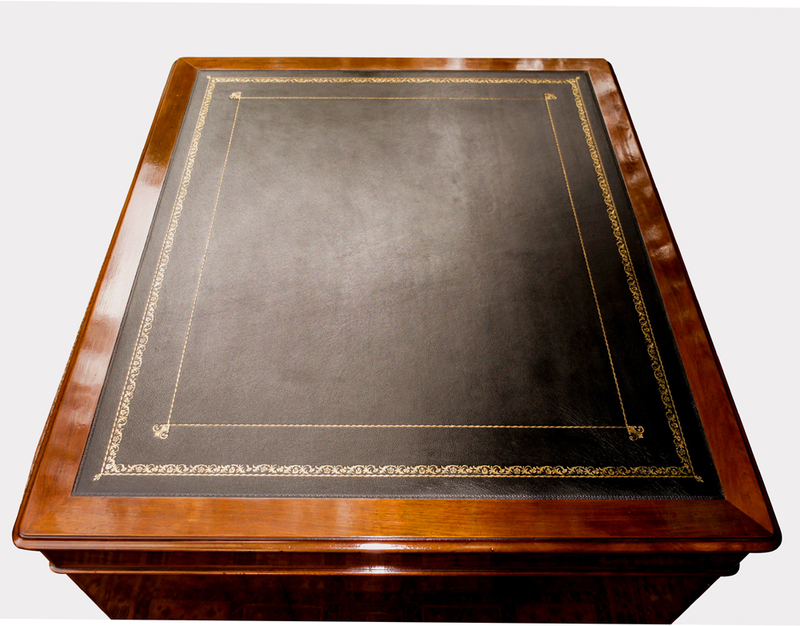 Although not large in width it is deep being almost square. 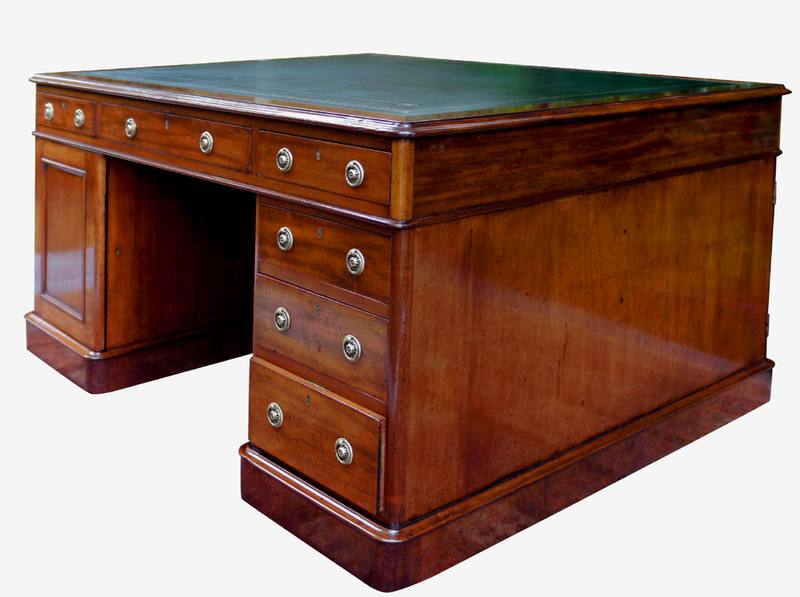 It is shown in the photos set up as a partners desk with drawers and a cupboard to both sides. 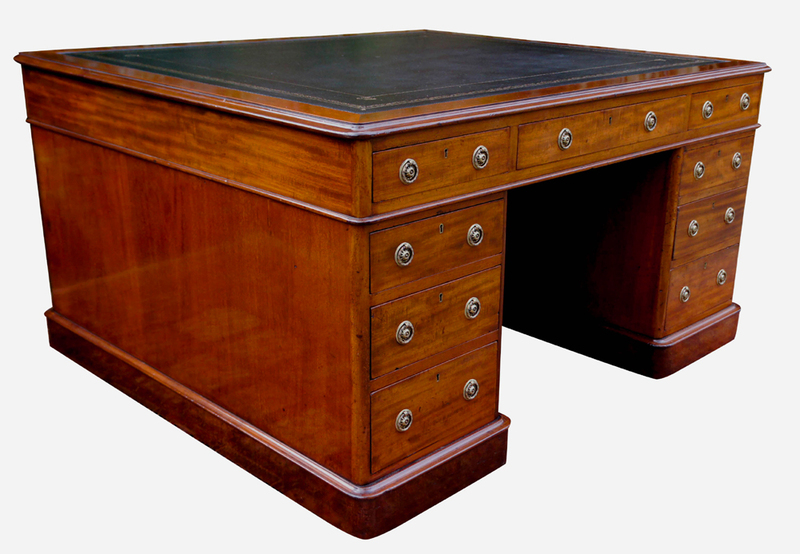 It is 54 inches wide by 48 inches deep and desks of this shape often referred to as a library desk. 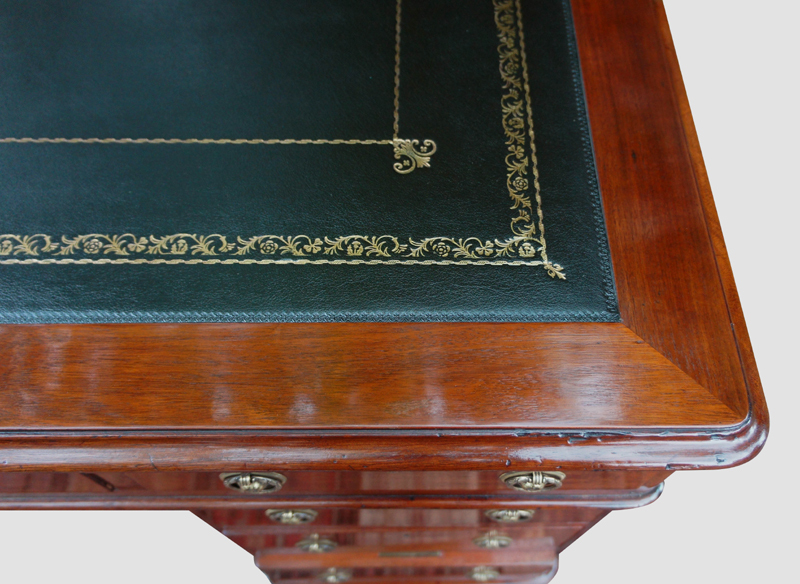 and embossed brass ring pull handles (old replacements). 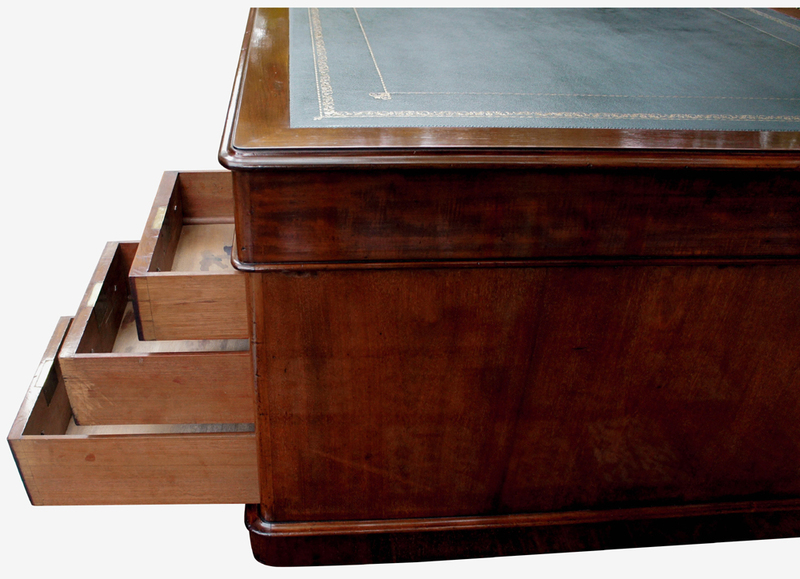 The pedestals each have three drawers to one side and a cupboard with a shelf to the other. 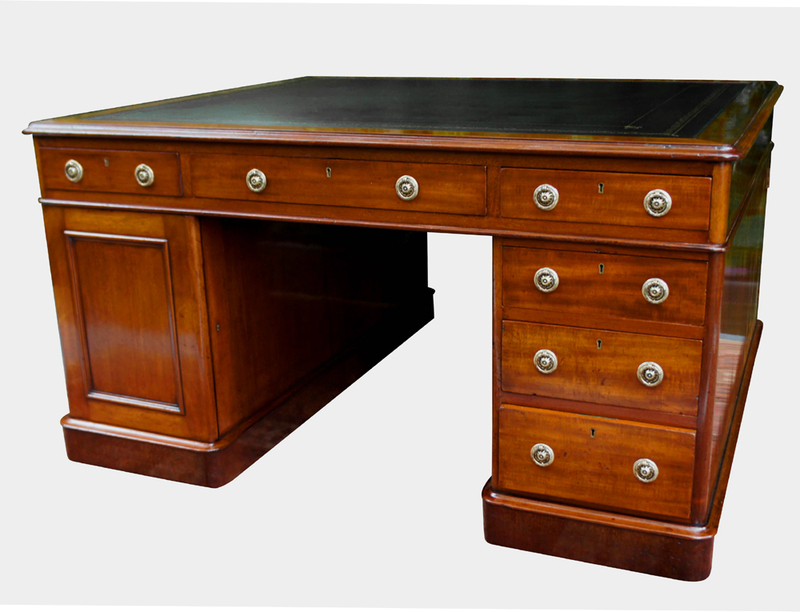 for ease of installation and transportation. 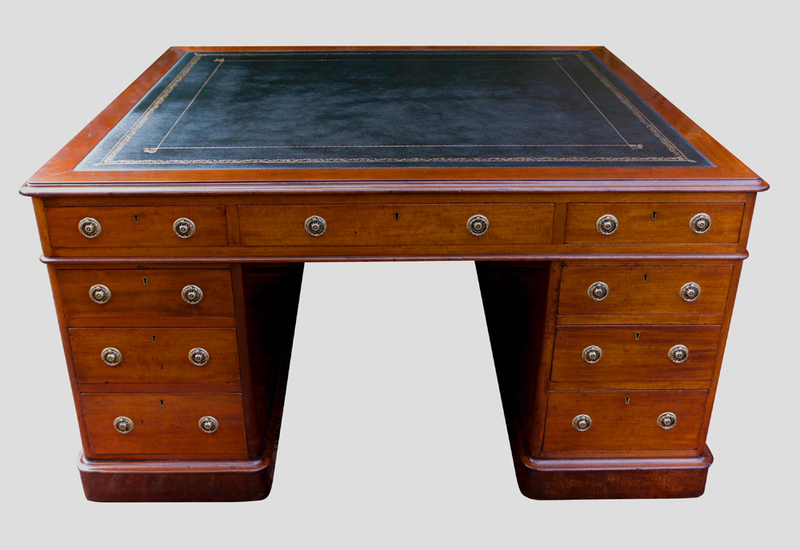 mahogany colour and would make a lovely focal point in an office or study.